Thank you to General Mills for sponsoring this post! 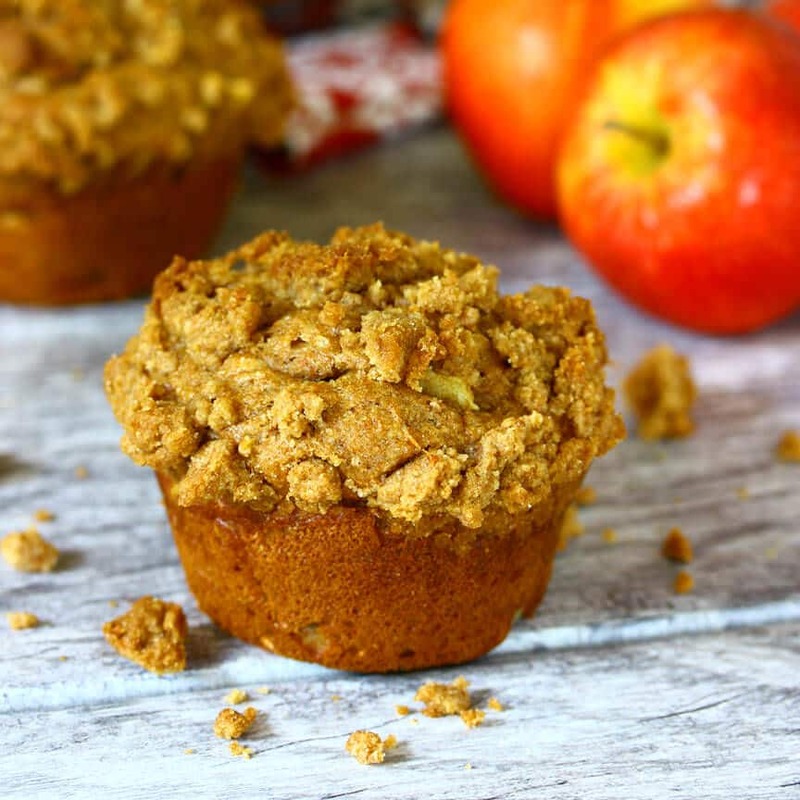 I love the texture sensation of chomping into a muffin with crunchy sweet crumblies on the top and a soft and chewy interior. And simply nothing beats a rack of freshly baked muffins hot out of the oven! 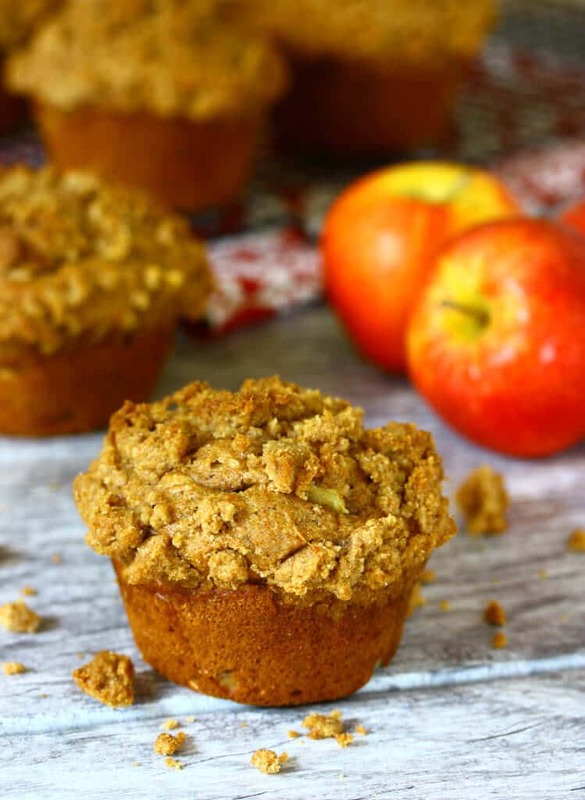 These Double Apple Crisp Streusel Muffins are perfect for an on-the-go breakfast, a midday snack, or with a glass of milk before you head to bed. Wonderful anytime of the year, the flavor and aroma of spicy cinnamon makes these especially perfect for this cool weather. 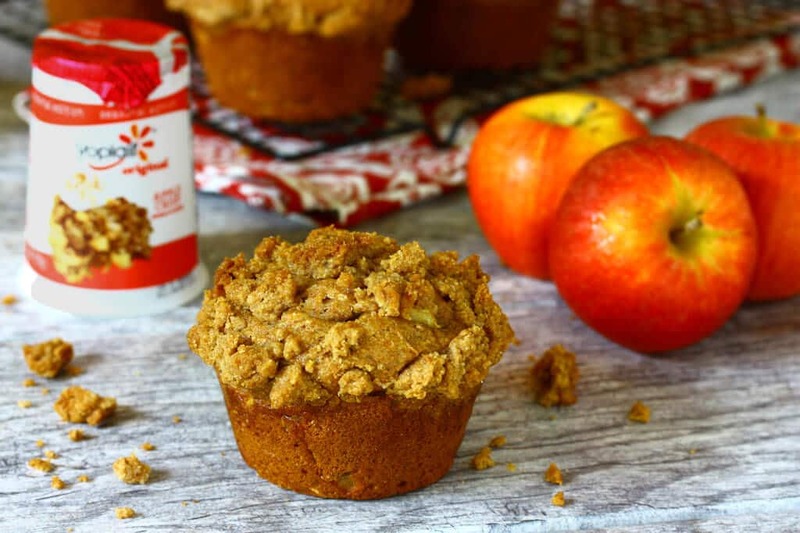 The concept for these muffins was born when I was at Walmart the other day and came across Yoplait’s special seasonal edition flavor, Apple Crisp. I love adding yogurt to baked goods because it makes them so rich and moist, and when I saw this yogurt I immediately envisioned doubling up on the apple crisp flavor (because really, is there such a thing as too much?) 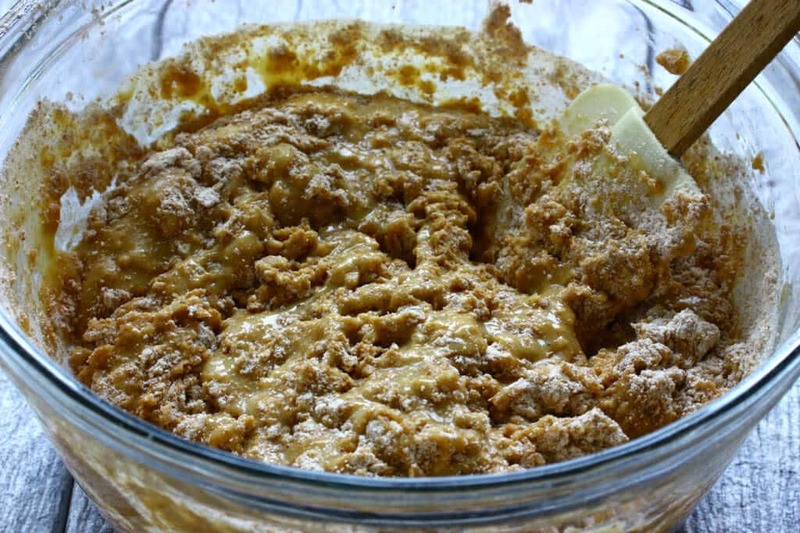 by incorporating this yogurt with traditional apple crisp ingredients to create something luscious. Double the apple crisp flavor – yes, please! And they were a hit. Every hand in our home grabbed one, devoured it (in this case the mouth, not the hand), and divided up the remaining two. And you know me, most of the time my conscience forces me to turn these creations into healthier versions. And so I did! 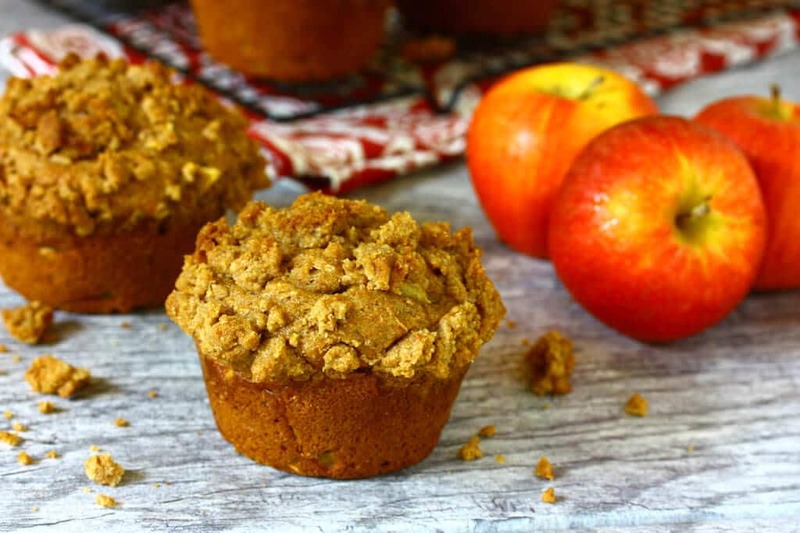 These wholesome, whole-grain muffins are packed with goodness, including 100% spelt (you can use whole wheat) flour, oats, fresh apples, and yogurt. Using the Apple Crisp-flavored yogurt allows you to cut back on the amount of sugar you use. 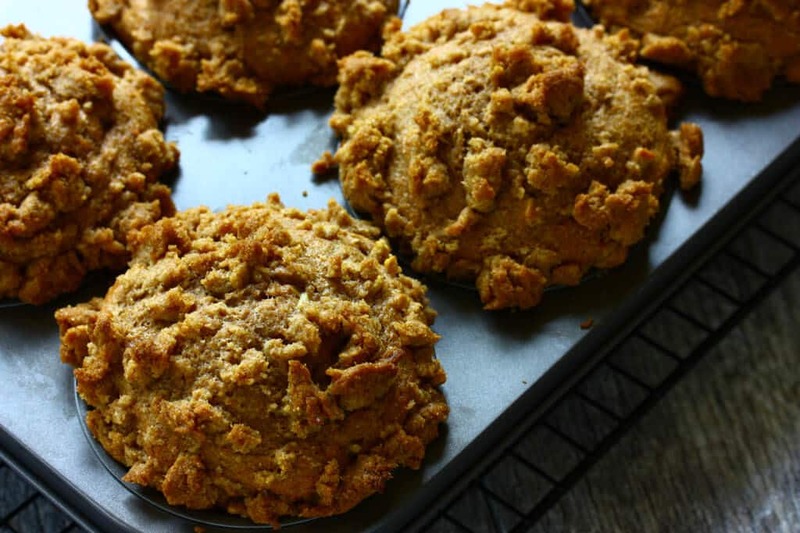 The yogurt and buttermilk soften the whole grain flour to give you that wonderful moist interior and then the sweet crunchy streusel topping takes these muffins to a new level. The next time you’re craving something sweet that you don’t have to feel too guilty about, whip up a batch of these. An on-the-go version of your favorite apple crisp dessert, you can take these with you anywhere! 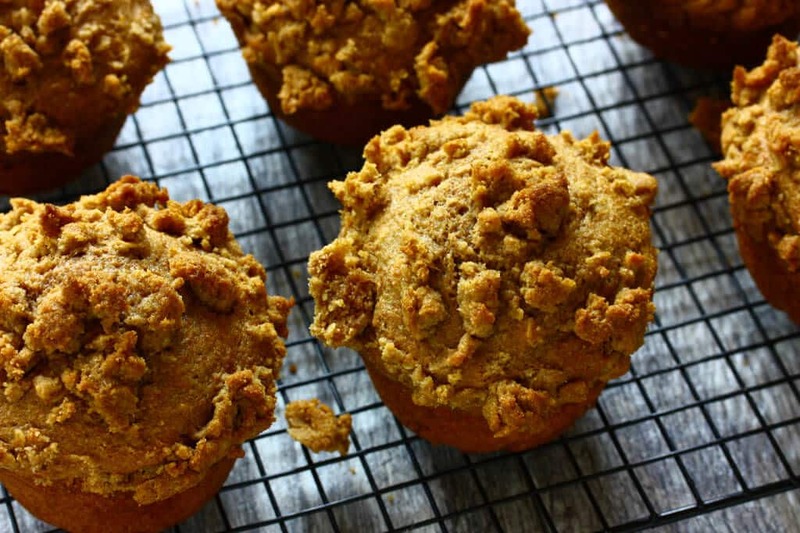 This recipe makes either 6 jumbo muffins (which is what I made) or 12 regular-sized muffins. Preheat the oven to 375 degrees F. Butter a 6-cup jumbo muffin pan or a 12-cup regular muffin pan. 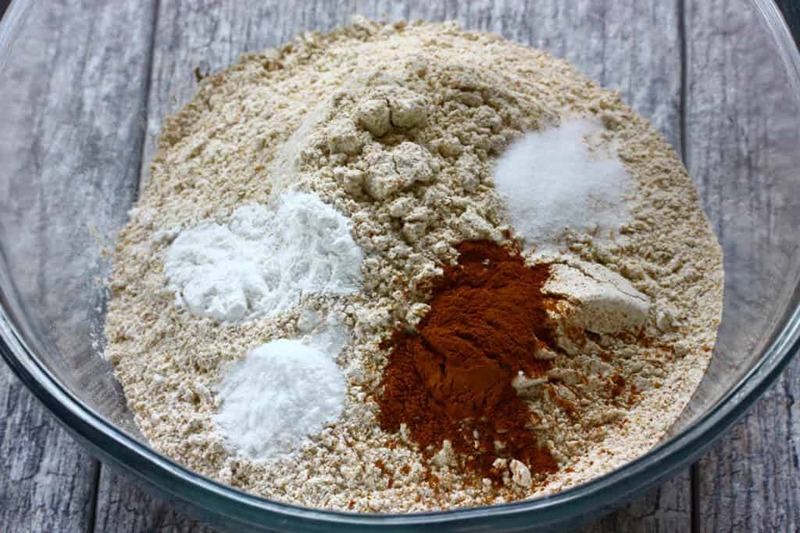 In a medium-sized bowl, combine the flour with the salt, baking soda, baking powder and cinnamon. Set aside. 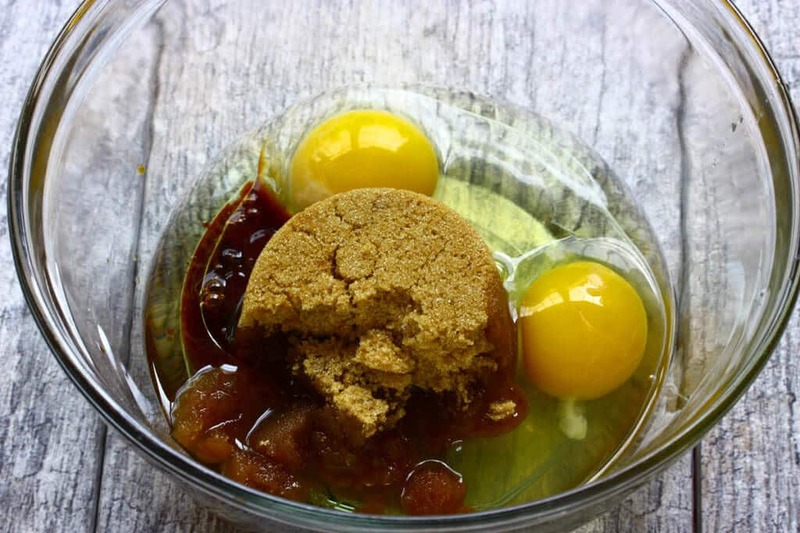 In a large mixing bowl beat together the eggs, brown sugar, oil and vanilla extract until combined. Next add the yogurt and beat until combined. Gradually stir in the flour mixture but don’t thoroughly combine. 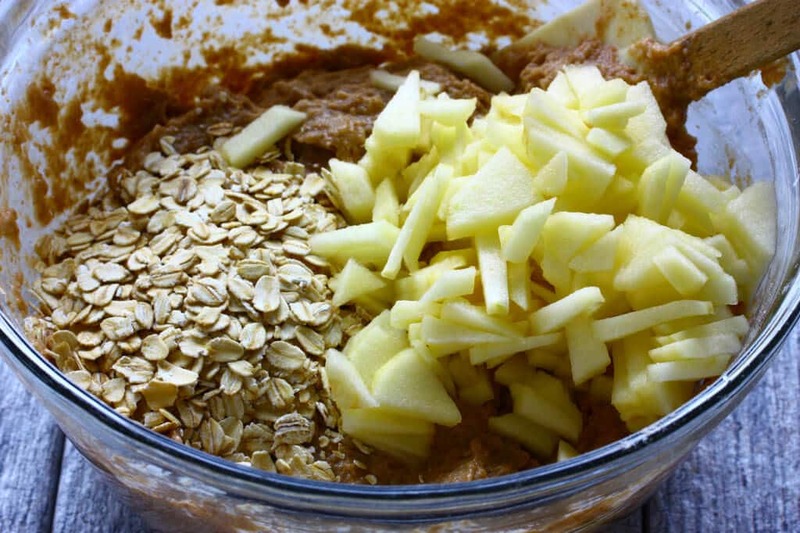 Stir in the oats and apples before the mixture is completely combined. Be careful not to over-stir or the muffins will be heavy and dense. The batter will be thick. 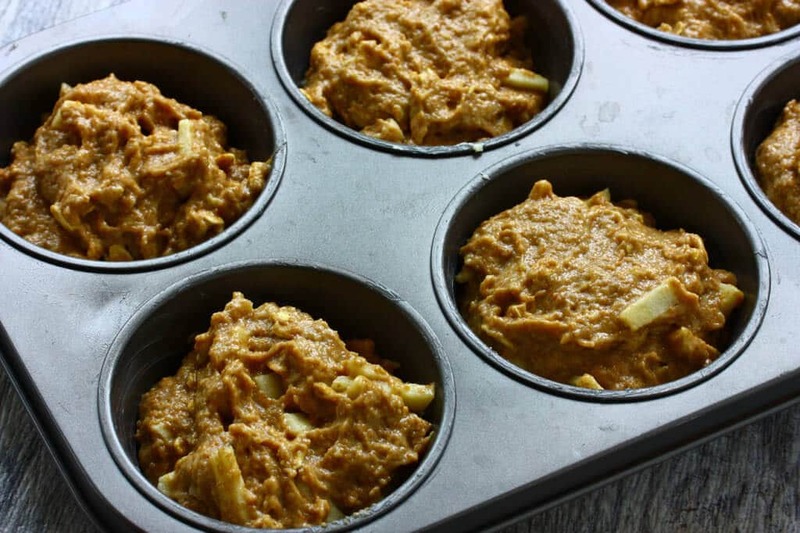 Spoon the batter into the muffin cups, filling them just barely over the 3/4 full mark. 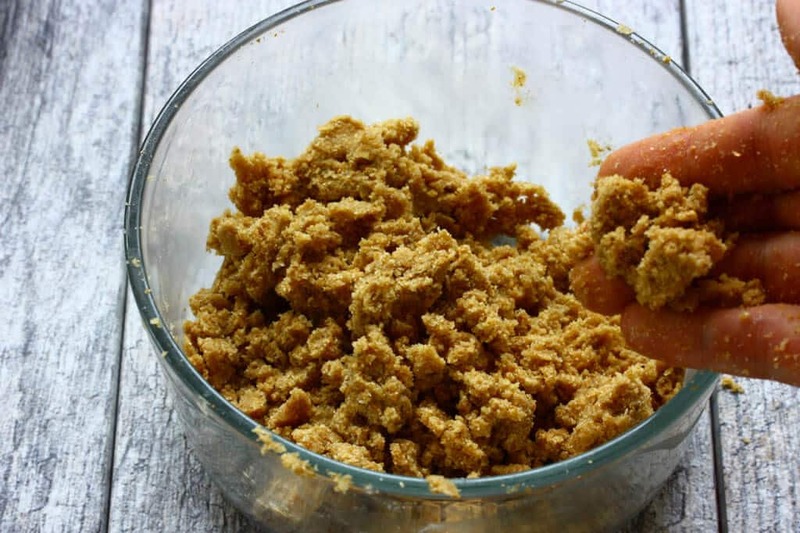 Make the streusel topping: Combine all the ingredients in a bowl and work with your fingers to make crumbles. Sprinkle the streusel over the muffins. Bake on the middle rack for 22-25 minutes or until a toothpick inserted into the center of a muffin comes out clean. Let the muffins sit for a couple of minutes before carefully removing them from the pan. 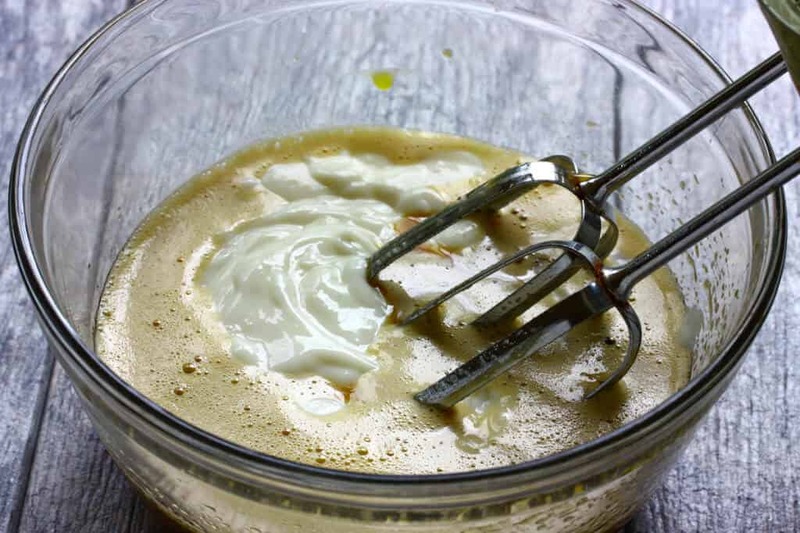 In a large mixing bowl beat together the eggs, brown sugar, oil and vanilla extract until combined then add the yogurt. 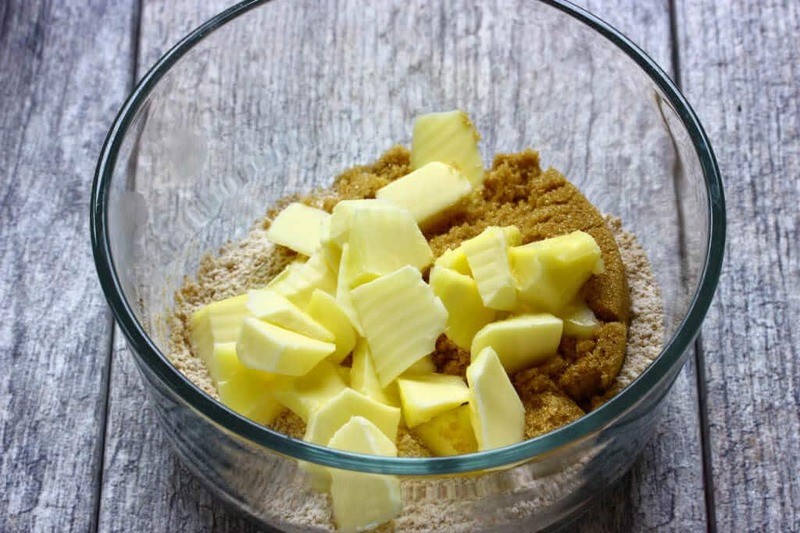 Gradually stir in the flour mixture then stir in the oats and apples before the mixture is completely combined. Be careful not to over-stir or the muffins will be heavy and dense. 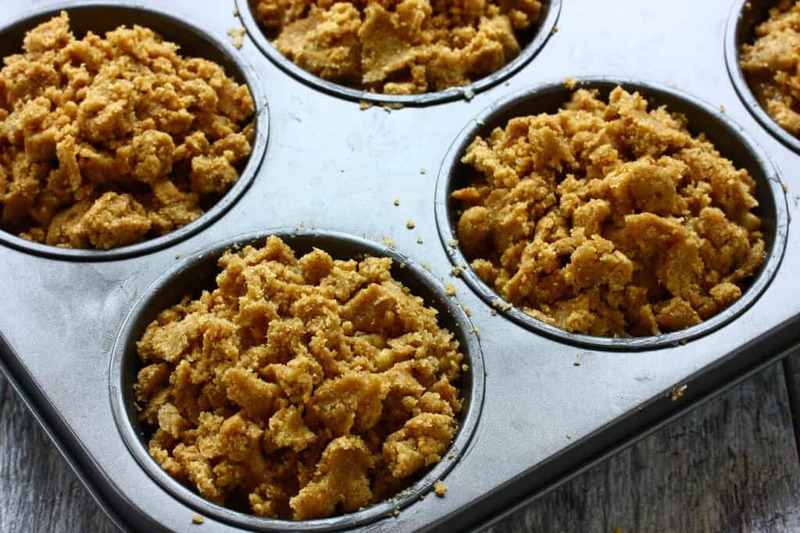 Spoon the batter into the muffin cups, filling them just barely over the ¾ full mark. 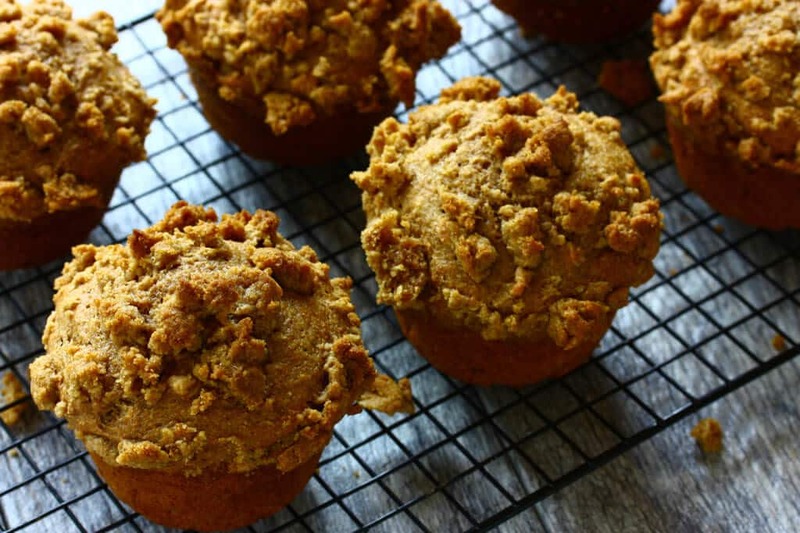 Sprinkle the streusel over each muffin. Bake on the middle rack for 22-25 minutes or until a toothpick inserted into the center of a muffin comes out clean. Let the muffins sit for a couple of minutes before carefully removing them from the pan. 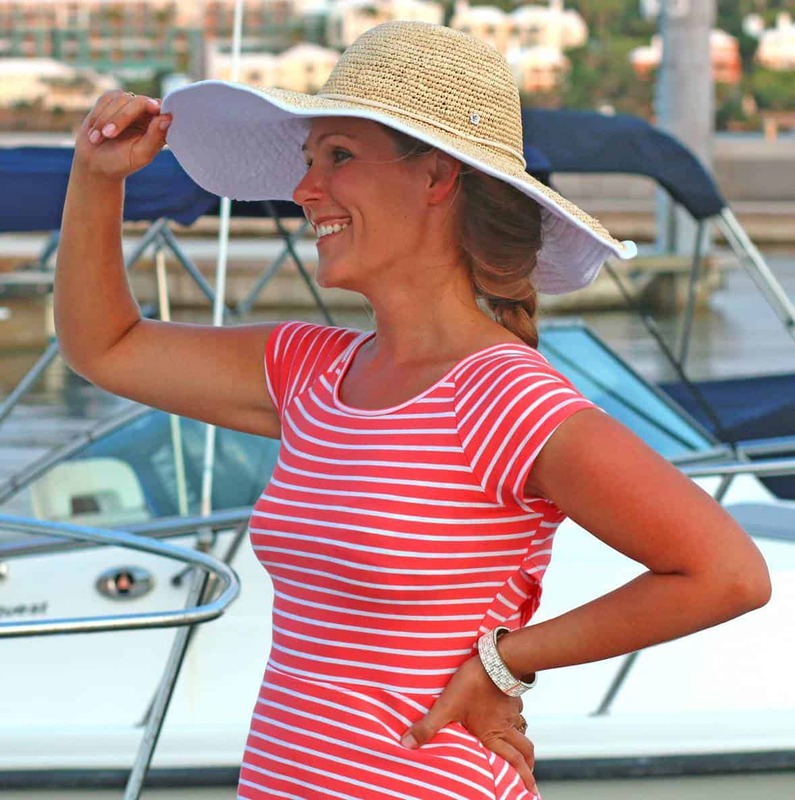 « French Entertaining “Country Style” + Alexian/Le Creuset Giveaway! Streusel topping just makes everything awesome! These look divine, just a perfect way to start the day! 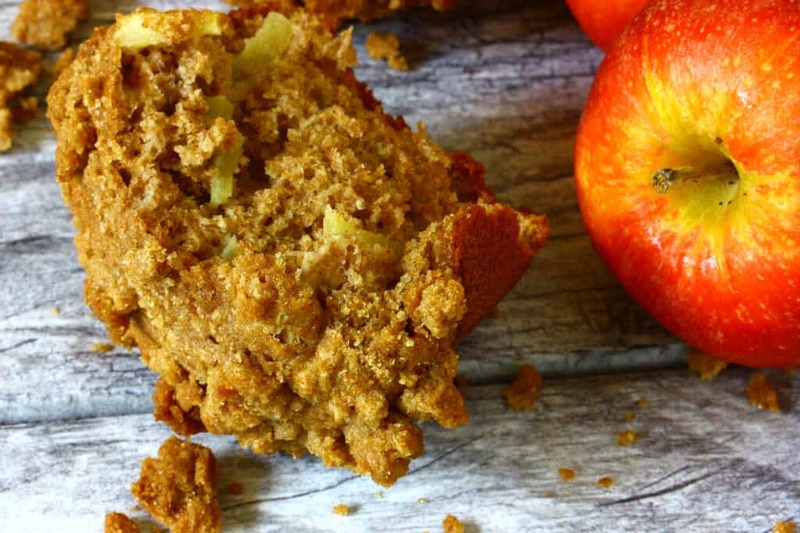 Ooh apple muffins are so good this time of year! 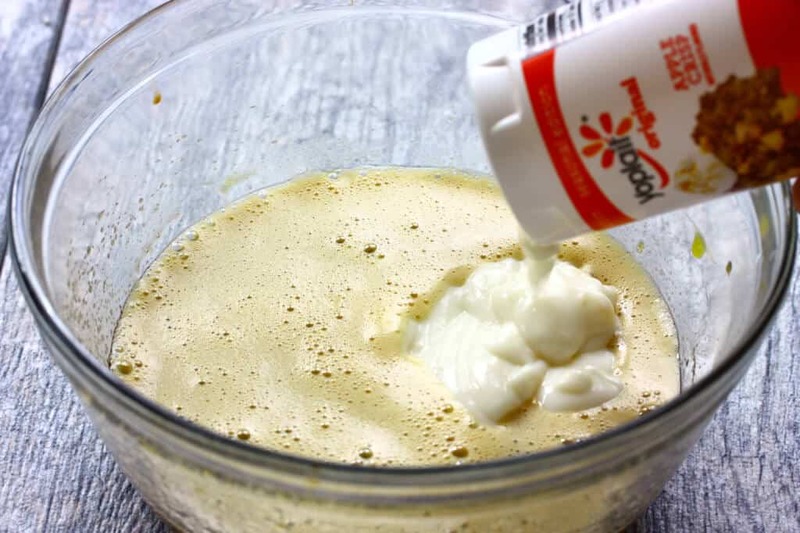 I love that you added yogurt in the batter too! Not fair…I haven’t eaten breakfast yet! Need to find me some spelt flour and avocado oil! 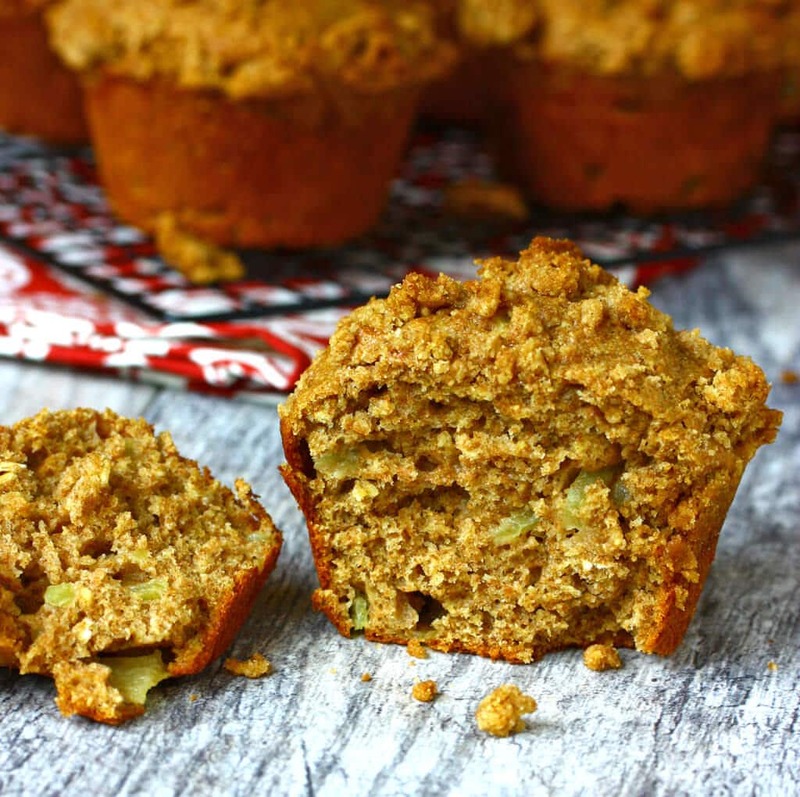 Healthful ingredients in these beautiful muffins…and what’s not to love about streusel on a breakfast treat?! Double the apple, double the fall fun! I’m with you; I love the crunchy topping on muffins. These look absolutely delicious.